Burlappcar: 2015 Mercedes C-Class prices. Mercedes should and can position in top pricing. Cadillac should not and cannot. The problem with c200 is that it sounds like Chrysler 200 which is similar in fit, finnish, handeling, but has up to 300 HP with excellent gas mileage, 10+ airbags, NAPA leather, REAL wood trim, an 8" screen and costs $10,000 LESS. Buyers who balk at $10k extra just for the "status" may test drive the 200 and Mercedes will lose those customers. 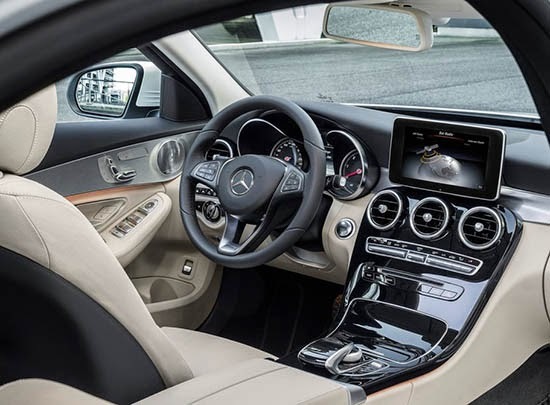 There is no reason to price the C300 against the 320i, which was only created to give BMW a lower-priced 4-door to compete with the new CLA and A3 (since there is no 4-door 1- or 2-series yet). The 328i and A4 are more direct competitors to the C300 and are priced accordingly. Ironic that the C300 has a 2.0 L engine and the 200C has a 3.6 L engine!